I was looking back at some older photos from the years 2002 - 2007. 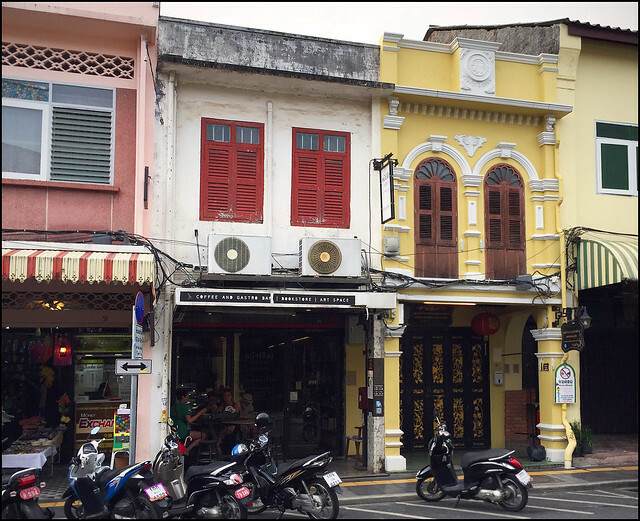 16 years ago, old Phuket Town was certainly not ready for tourism. The old town streets looked rather dirty and there was really not much in the way of cafes and restaurants. I think things started to change about 2006, and there were plans made to remove overhead cables, the old town festival started in 2009, streets like Thalang Road and Soi Romanee got a facelift and restaurants started to open in the area but the strets still had a good mix of local businesses, homes, old buildings and some tourism. Thalang Road now is quite busy during the day. A lot of people taking photos and maybe 1 too many souvenir shops mixed with places like old printers, hardware shops, the old herb shop, Muslim Roti shops ... And quite a few cafes and restaurants too! 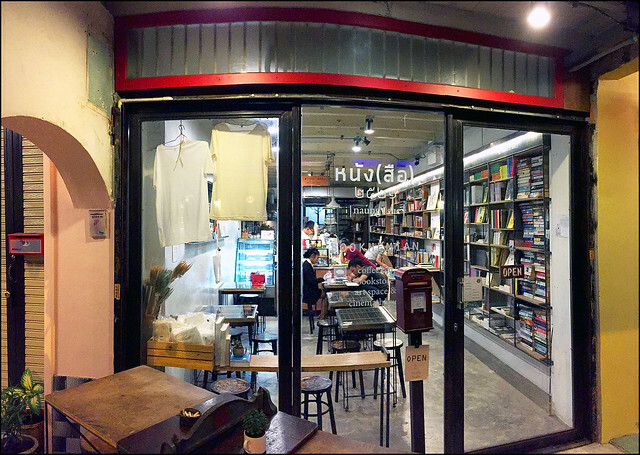 Bookhemian has been open for quite a few years now, located about halfway along Thalang Road - it's the place with the red second floor shutters in the photo above. And .. note the aircon! You'd not find any aircon cafe here 10 years ago. 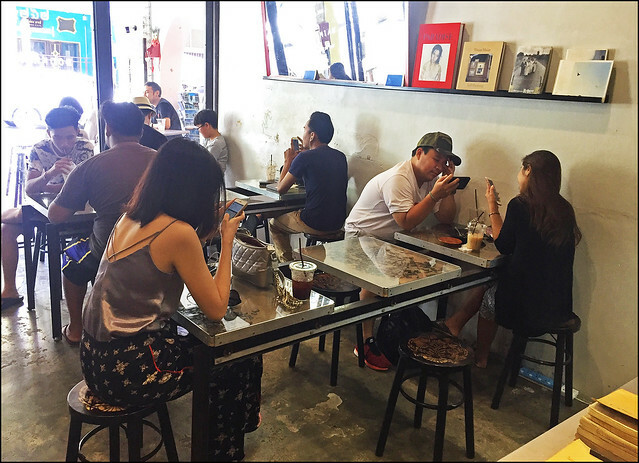 There are a few now (Kopitiam has an aircon room, so does Eleven Two. 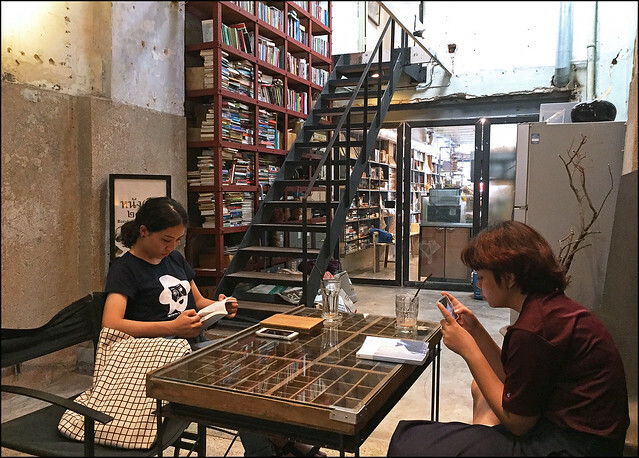 I remember first time I went into Bookhemian they had a book built into the large door handle, sandwiched between 2 thick slices of clear glass .. and the book was '100 Years of Solitude' which happens to be one of my favourites. 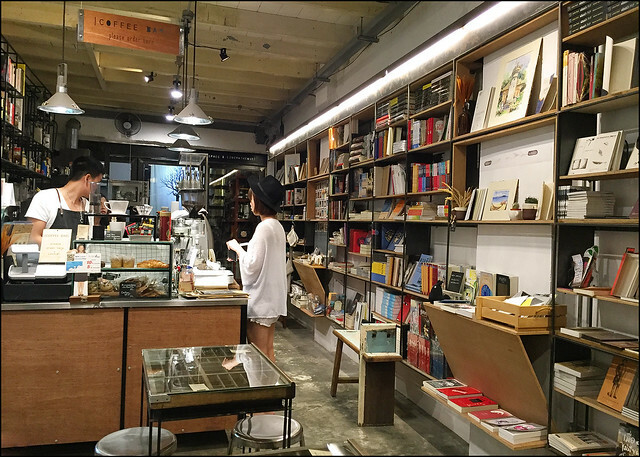 Inside there are several different rooms, books lining the walls, it's quiet and cool. I mean "cool" because of the aircon and because it's arty. (above) The front room in Bookhemian .. not a big place! Only a few small tables here, plus there's a table outside the front door if you don't want air conditioning! I have only come here for a drink. I've been several times with the kids. My daughter loves the lime and honey soda drink. 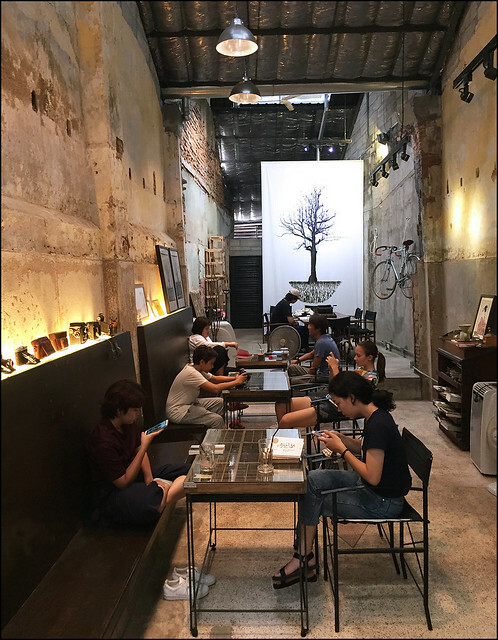 You can also get a beer or coffee here. And a cake! I think there is some food too, like breakfasts .. I have to go check the menu. 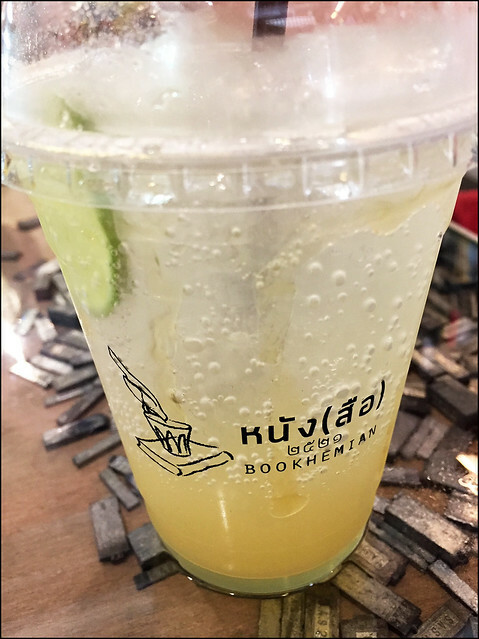 (above) Lime and Honey drink .. the tables have old printing press letters under the glass. 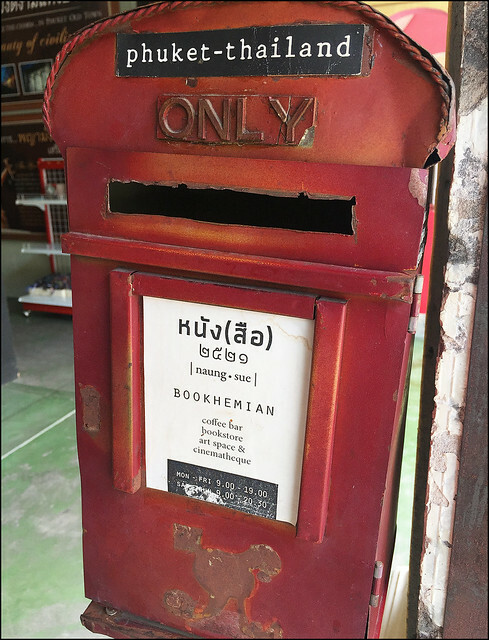 There are a couple of old printing shops along Thalang Road. (above) The room at the back of Bookhemian, very arty. The stairs lead to an "art space" .. I better go take a photo up there! If I'm walking around old town, maybe looking around for new street art, this is a good place for a cold drink in a cool room!